As Lent is the time for greater love, listen to Jesus’ thirst …’Repent and believe’ Jesus tells us. What are we to repent? Our indifference, our hardness of heart. What are we to believe? Jesus thirsts even now, in your heart and in the poor — He knows your weakness. He wants only your love, wants only the chance to love you. Many churches from all denominations across the globe are entering into the season of Lent to prepare for Easter. Whether you observe LENT or not, it’s a season to prepare afresh to experience the death and resurrection of Christ. It’s a time to examine ourselves in relationship to others, turn from sin afresh, and ready ourselves to action toward the cause of the fatherless, the widow and the orphan. LENT is a time for worship and mission, and the Imprecatory (songs of injustice), and Lament (songs of grief) Psalms remind us not only to worship the Lord and trust him in our own sin, struggle, and injustice, but to engage and bring the redemption of the gospel to those in need. Enjoy our musical rendition of Psalm 3 that focuses on God as a Warrior King. When David sinned with Bathsheba and ordered the death of her husband, Uriah, David subsequently repented when the prophet Nathan confronted him. However, David’s sins set in motion a series of God-ordained devastating consequences. David’s oldest son, Amnon, raped his half-sister, Tamar. Tamar’s brother, Absalom, took revenge by murdering Amnon. Absalom fled into exile for several years, but later was permitted to return. But after his return, David refused to see his wayward son for two years. The resentment built and Absalom began to court the disgruntled people in the kingdom, offering himself as a more sympathetic leader than his powerful father was. It was David’s most traumatic, humiliating experience in his entire life. Everything that he had spent his life working for had suddenly unraveled. Many whom he had thought were allies and friends had abandoned him and sided with his rebellious son. And the most painful wound of all was the treachery and betrayal of Absalom. It brought home to David his own failure as a father. One son was murdered, a daughter was raped, and the murderer was now after his own father’s life in addition to his kingdom. Life was falling apart for David. What do you do when life falls apart? There are many in life struggling with their life falling apart. We must learn how to cry for Deliverance from the Lord. Let Garden City’s new album The Songs of the Forgotten help. 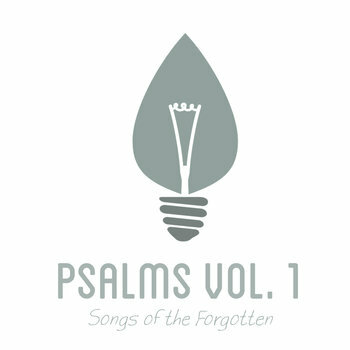 This is a recording of 10 of the Lament (sorrowful) and Imprecatory (calls for Justice) Psalms. Here is the first one on the album. King David wrote it during a time when his life was falling apart.